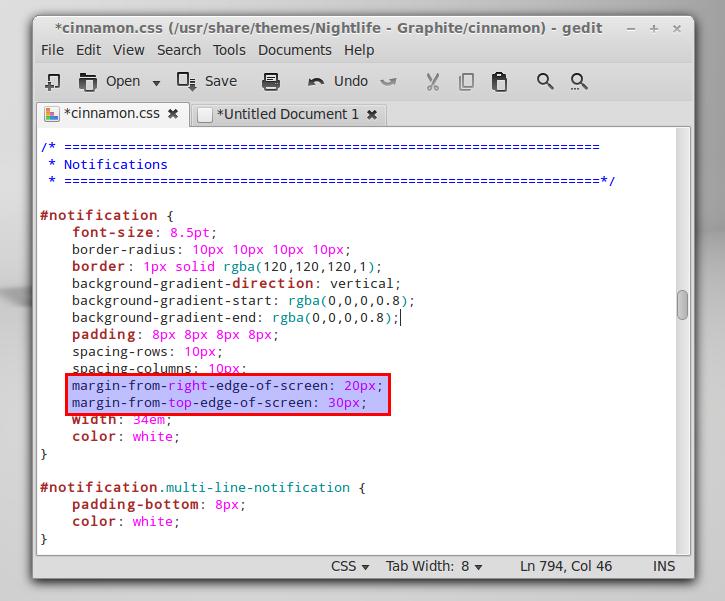 Cinnamon doesn't have an option to change the notification position on the screen yet, but you can do this by editing the theme CSS code (cinnamon.css theme file). gksu gedit "/usr/share/themes/Nightlife - Graphite/cinnamon/cinnamon.css"
For other Cinnamon themes: the cinnamon.css file path depends on the theme you're using (it's in the "cinnamon" folder inside the theme directory). 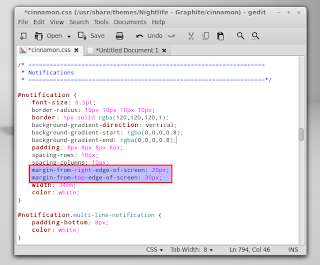 To find out the cinnamon.css file path, open Nautilus and navigate to /usr/share/themes/ - here you'll find all the available themes -, double click the directory for the theme you're using you'll find a "cinnamon" folder where there's a "cinnamon.css" file which is the file you have to edit to change the notifications position. This is the margin from the top edge of the screen so this value changes the notifications position vertically - change its value to whatever you want. If, for instance, you want the notifications to be displayed at the bottom right, you can enter the value of your screen vertical width minus 100 pixels (example: if you have a 1920x1080 screen resolution, your screen width is 1080px, so you would use 980 (1080-100) as the value). Just like its name says, this is the margin from the right edge of the screen. Once again, depending on your screen resolution, change its value to whatever you like. 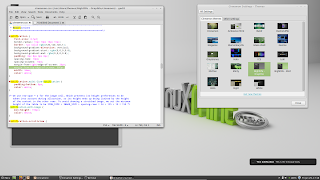 Once you change the values, save the file, then open Cinnamon Settings and under Themes, select a different theme, then switch back to the theme you were using. This basically applies the changes so you can see the tweaked notifications in action. notify-send --icon=gtk-add "Test notification" "This is the message body"